Chris graduated from the British School of Osteopathy in London receiving a B.Ost (Hons) degree in Osteopathy after completing the five year course. After qualifying, Chris remained in London to work an an osteopath for the Lloyds of London insurance market. He then moved to a multi-disciplinary practice in South London that specialised in the treatment of elite sportsmen and women. 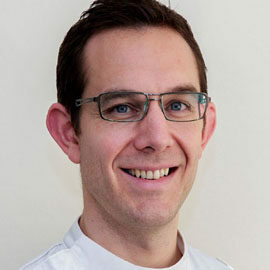 Chris has recently returned to Bristol, where he grew up, to join the team at Sneyd Park Osteopaths. A former keen rugby player and cricketer, Chris now stays active by competing in triathlons and open water swimming events.